The 4th Ray of "Harmony through Conflict" governs the base chakra or root. 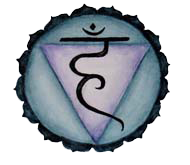 This chakra symbol represents the most earth-centered energy. It stands for our inherited beliefs through our formative years. Self-preservation, personal survival and our identification with the physical world centers in this bottom most of the main seven chakras. Transcendence of unloving imprints in this chakra: "Others show you yourself and what you need to work on within, by their reflection of your own rejected or denied emotions." Wheat grass is super nutrition even in small quantities. Wheat grass nutrifies, and detoxifies the body of harmful toxins. I chose the hand crank Hurricane Juicer and love it. A good electric overall juicer is the Omega. If I didn't already have a Norwalk juicer, I would have bought the Omega. The 7th Ray of "Ceremonial Magic" rules this chakra symbol. The second from the bottom of the seven chakras is about our relationships, creativity, sexuality, control and money. Do you stand up for yourself...say what you mean and mean what you say? 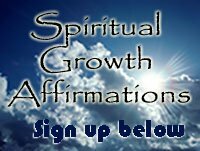 Transcendence of the unloving imprints within this chakra: "emotional addictions are felt, accepted, loved and forgiven." 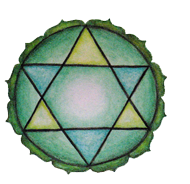 The 6th Ray of "Devotion" governs this chakra. This chakra symbol connects us with the energy to take action and is the seat of self-esteem and expressing our personal power. Our relationship to the world around us, and our beliefs about our place within it come from this the third of the seven chakras. "Balance between intuition and intellect." Do you carry a lot of sadness and emotional wounds in your heart that you don't want to accept and look at? "Healing of spirit, emotions, body and heart take precedence over everything." Loving yourself means feeding your body nutritious "whole" foods. Sprouts can be well over 30 times more nutritious than the parent plants. They are easy to grow, delicious, quickly digested, and the nutrients are more readily absorbed. The 3rd Ray of "Active intelligence," is associated with the fifth of the seven chakras. 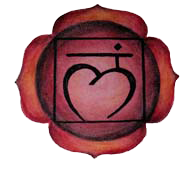 This chakra symbol is all about choice, willpower and the right to speak and be heard. Speaking our peace is our God given right of choice. Having said this, not all we say gives us peace. Some of what we say dis-empowers us...some empowers. What we say is caused by unloving or loving imprints from our past again. "New found awareness and direction." 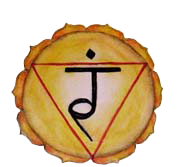 This chakra is governed by the 5th ray of "Concrete Knowledge." Our intuition and our ability to see with vision comes from here. It's the center of divine wisdom, the spiritual eye that seeks to see and know the truth in all things. From the sixth of the seven chakra symbols we close our physical eyes and look at the world from all aspects of self. Our intuition becomes our guide. Do you have "insight" as to what’s happening in any situation? Transcendence of the unloving imprints of this chakra: "Balance the physical and the mental. 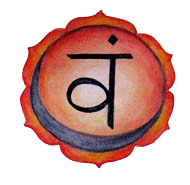 The 1st Ray of "Will and Power" is associated with this chakra symbol. 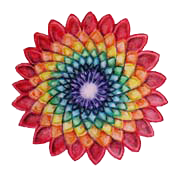 This chakra is located at the top of the head and spins very quickly as a 1000 petal lotus...our direct connection to God. Guidance comes directly to us from the divine and is received through this chakra. Transcendence of unloving imprints of this chakra: "I and my Father are one in complete harmony with my Will." Forgiveness releases the charge of old imprints from the mind and the chakras. It starts at the source of the problem in the first place...the way we think. You, are in control of your body and your life, because only you, control your thinking. If forgiveness is true and unconditional, amazing healing occurs in all areas of the body. Then and only then can the Shakti or kundalini energy rise uninhibited through the seven chakra symbols shown to increase awareness and ultimately bring enlightenment. For more on the seven chakras, follow this link to another of my articles.